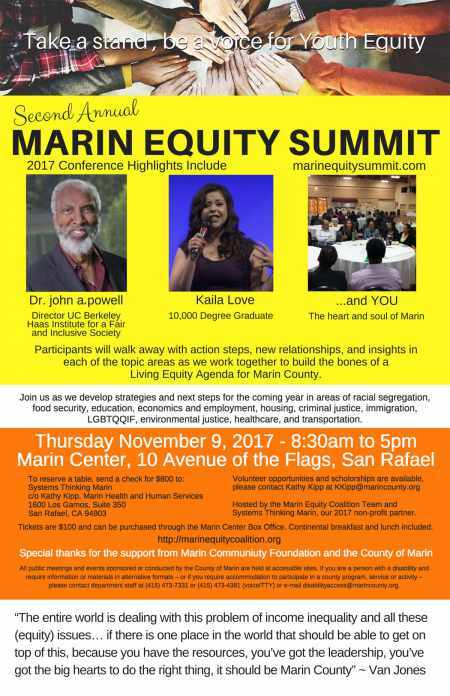 Join us for the Marin Equity Summit, Thursday, November 9, 2017. Join us for the Marin Equity Summit, Thursday, November 9, 2017. Purchase a ticket, make a donation to support scholarship attendees, purchase a table-for-ten for $800, or sign-up to volunteer or apply for a scholarship.